Philanthropic effectiveness is uniquely challenging. That’s why CEP exists — to help foundation leaders and major donors by providing resources to help them maximize their effectiveness. Our assessments help funders get feedback from key constituents, such as the nonprofits they fund, denied grant applicants, staff, and others. 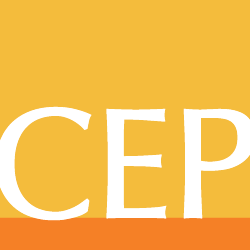 CEP’s assessments are unique because results are put in a comparative context, allowing funders to benchmark their performance against others. Our customized advisory services help funders — including individuals, foundations, groups, and associations — to overcome key challenges. Among our offerings are customized benchmarking projects and tailored professional development and training sessions. Our programming brings together foundation leaders, trustees, and major donors to learn from the latest research and from each other in order to improve their effectiveness. We also share insights from CEP staff and leaders in the field through our blog. Contact us to learn more about how our resources can be helpful to you.